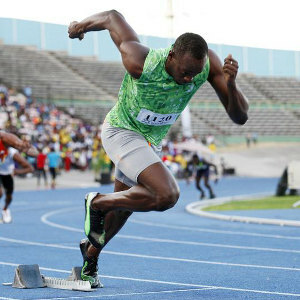 Though he was far from happy with his modest winning time of 10.09 secs, sprint superstar Usain Bolt began his 2013 season with a 100 metres triumph at the Cayman Invitational inside the Truman Bodden Stadium on Wednesday night. “It wasn’t the best start for the season,” the six-time Olympic champion admitted to reporters after the race. “I didn’t feel as great as I felt in training.... It was just a bad race. Got to go back to the drawing board and work on a few things and just get it right the next time.” Bolt has a packed training and competition schedule ahead, as he sets his sights on conquering this summer's World Championships in Moscow, Russia. 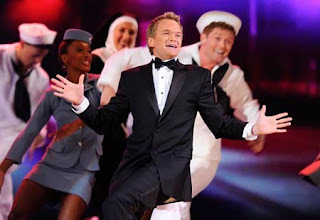 Neil Patrick Harris will play host at the Tony Awards, Broadway's glitziest night, on Sunday, June 9, for the fourth time. Says the 39-year-old Emmy winner and stage veteran, "I'm very excited to be back hosting the Tony Awards at the legendary Radio City Music Hall. It’ll be more impressive than ever. If my math is correct, it will be 267 times bigger than last year. Rest assured, the show will rock!" The awards, which annually honour the best of the Great White Way, will be broadcast live on CBS, commencing at 8:00pm. Retired American Olympian Marion Jones made a presentation at Kingston's Business of Sport conference recently, cautioning her listeners (young athletes, in particular) about the moves we make and life-altering decisions we take. "Every choice we make has consequences, good and bad," Jones told the gathering. "Sometimes it is easy to underestimate what we do and how it affects those who support us — coaches, families, and fans... I've been given a second chance and thankfully the final chapter on my life is not done. Sports gave me the platform to do what I'm really supposed to be doing."